PORT-AU-PRINCE (Reuters) – An earthquake that struck Haiti on Saturday killed 15 people, injured another 300 and destroyed 40 houses, Jerry Chandler, head of the Caribbean country’s civil protection agency, said on Monday. Chandler was speaking at a news conference to report on the human cost of the relatively shallow, magnitude 5.9 quake, which hit the north of the impoverished country late on Saturday. The tremor caused widespread panic in the north and was one of the strongest to shake Haiti since a 7.0 magnitude earthquake struck near the capital Port-au-Prince in 2010. That quake killed tens of thousands of people. 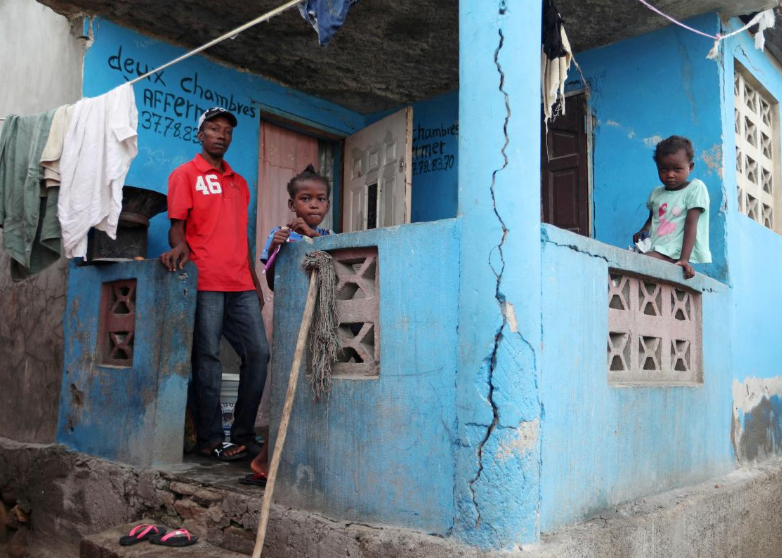 A magnitude 5.2 aftershock on Sunday afternoon sent people rushing into the street in Port-de-Paix, the coastal town that bore the brunt of Saturday’s earthquake. ← Le Président Jovenel Moïse plaide pour un meilleur contrôle par l’État de l’aide destinée aux personnes affectées par le séisme du 6 octobre dernier.